Thank you to all the Veterans. 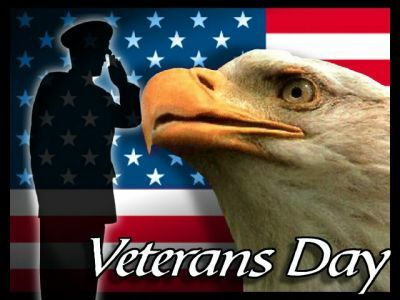 On Veterans Day we celebrate all those who have served our country in the military. We honor the men and women who took time away from their family and friends to serve and protect our nation. The single highest duty that can be asked from an individual is to stand on the front line in the protection of our country. We are literally asking them to put their life on the line for our way of life. We owe them more than a day of honor. We owe them our gratitude, respect and care. Our nation is lacking in professional services to care for our vets. Too many veterans are suffering from injuries and mental health issues who are not receiving enough care. In some cases the services are there but the veterans are not taking advantage of them. In other cases the services are underfunded or just not available. I am hearing that there has been some progress inside the VA hospital network. Hopefully that sad situation is getting better. 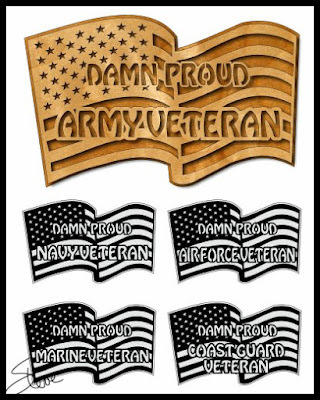 Please take some time out of your day to tell a Veteran thank you. If you want to read one of the best WWII books of all time this is at the top of my list. 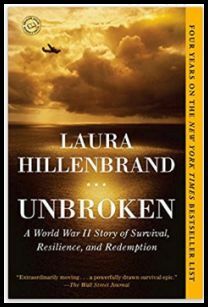 It's the story of Louis Zamperini. Louis was a bomber pilot who crashed in the pacific and was taken prisoner. The book details his life before, during and after the war. It's a book of courage, survival and the brutality of war. I could not put this book down. I highly recommend it. For the last several years the owner of RapidResizer has worked with me here at the Scrollsaw Workshop. He has allowed the users of my patterns to use his pattern resizing service for free. I want to thank Patrick for offering such a valuable service at no expense. Unfortunately for technical reasons he can no longer offer the service for free. I have removed the interface from my blog. I know many of you used the service to resize and convert the patterns to red line. I wish we could have made it work and Patrick did his best but it was just too big of a technical challenge. You can of course still sign up and use the service.